You may have heard this Latin phrase before but never considered it. 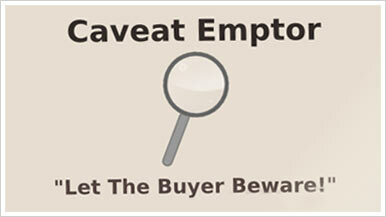 It means 'let the buyer beware' and it certainly applies when buying term life insurance. When searching for a policy, how can you be sure that the agent will show all the available products and enable you to make a fully informed decision that will best meet you and your family’s health care needs? The first step for enrolling in a plan is to get term life insurance quotes from different companies. One can also make use of internet to get the quotes. As every company has its own style of working, the quotes offered by each one of them will be unique. These quotes are based on the guidelines set out in the rating class. The rating classification is, in turn, based on one’s medical history and the results of the medical exam. The classification also differs between whole life insurance and term life insurance. What do you understand by Table Rating? The additional charges applied by the company on your policy is based on your current and past health status. As a consumer it is important to understand that every company handles the table differently. One insurance company may assign a table rating for a particular health problem whereas the other company may not. Have you been "Table Rated"? When a person receives online quotes, they will usually represent the mean (lowest) cost which a person has to bear for enrolling in a particular policy. These quotes are as per the standard underwriting rules of the policy. The actual cost of the policy depends on various other factors such as weight of the person, his or her age, and the past and present medical history of the person, which in most cases is higher than the standard quote mentioned on the internet.